How organised are you? Do you have books and CDs arranged alphabetically? 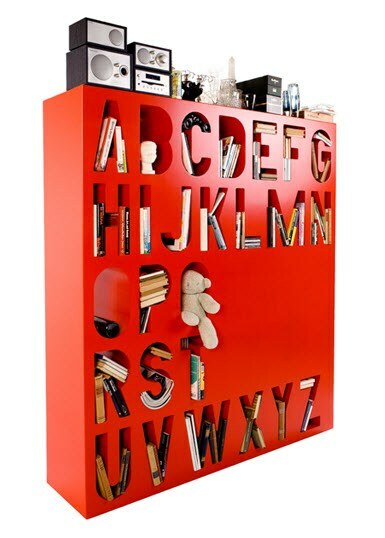 The Aakkoset bookshelf by Lincoln Kawiya might be just the thing to sort out the library or toys – how could you resist propping Teddy in the letter ‘T’ shelf?! 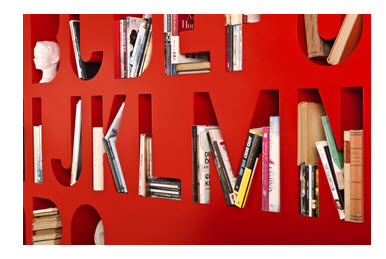 At almost two metres tall, the bookshelf also makes a good room divide (shelves are accessible from the back and the front). The Aakkoset bookshelf is available in eight colours (including on trend violet and orange) and can be shipped to Australia by arrangement. 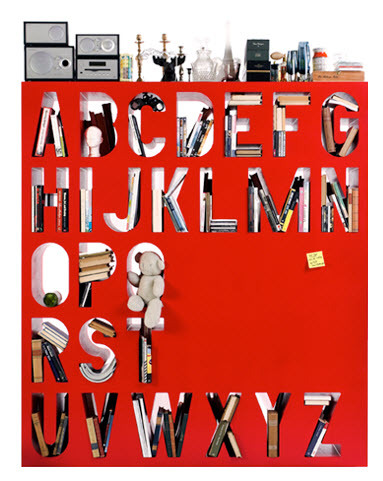 You should know upfront that at 21,560 € (that’s approximately $29,600) this bookshelf would be a (very) serious investment piece! Purchase directly from Kawiya.